Home » room » How Long to Observe After Severe Allergic Reaction (Anaphylaxis)? How Long to Observe After Severe Allergic Reaction (Anaphylaxis)? 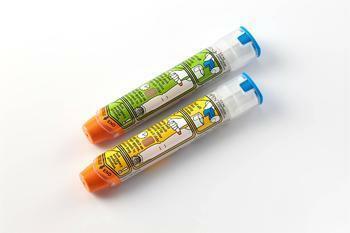 A severe allergic reaction affecting multiple different body systems is known as anaphylaxis. Such anaphylactic reactions adversely affect the skin/mucosa, breathing, gastrointestinal, heart rate, and blood pressure. The key thing to remember is that an "ordinary" allergic reaction is localized whereas anaphylaxis is general affecting beyond one body system. In the vast majority of cases, anaphylactic reactions resolve with these medication interventions. HOWEVER, the greater fear is whether the reaction will come back. Known as biphasic anaphylaxis, it is defined as "a potentially life-threatening recurrence of symptoms after initial resolution of anaphylaxis without re-exposure to the trigger". Biphasic anaphylaxis can typically occur anytime within 4 days, but is reported to occur in only about 10% of patients. However, clinically significant biphasic reaction is felt to occur in around 1% of patients. SO... the question is how long should a patient be medically observed for biphasic anaphylaxis after successfully treatment of the initial anaphylactic reaction? There is no consensus on what the ideal duration of observation should be after successful treatment of anaphylaxis, but most treating physicians (emergency room, allergists, and ENTs) would suggest 1-2 hours for mild anaphylactic reactions and up to 4 hours for moderately severe anaphylactic reactions. Clinical predictors for biphasic reactions in children presenting with anaphylaxis. Clin Exp Allergy. 2009 Sep;39(9):1390-6. doi: 10.1111/j.1365-2222.2009.03276.x. Epub 2009 May 26. Biphasic anaphylactic reactions in pediatrics. Pediatrics. 2000 Oct;106(4):762-6. Time of Onset and Predictors of Biphasic Anaphylactic Reactions: A Systematic Review and Meta-analysis. J Allergy Clin Immunol Pract. 2015 May-Jun;3(3):408-16.e1-2. doi: 10.1016/j.jaip.2014.12.010. Epub 2015 Feb 11. Update on biphasic anaphylaxis. Curr Opin Allergy Clin Immunol. 2016 Aug;16(4):346-51. doi: 10.1097/ACI.0000000000000279. Biphasic anaphylaxis: review of incidence, clinical predictors, and observation recommendations. Immunol Allergy Clin North Am. 2007 May;27(2):309-26, viii. Incidence of clinically important biphasic reactions in emergency department patients with allergic reactions or anaphylaxis. Ann Emerg Med. 2014 Jun;63(6):736-44.e2. doi: 10.1016/j.annemergmed.2013.10.017. Epub 2013 Nov 13.